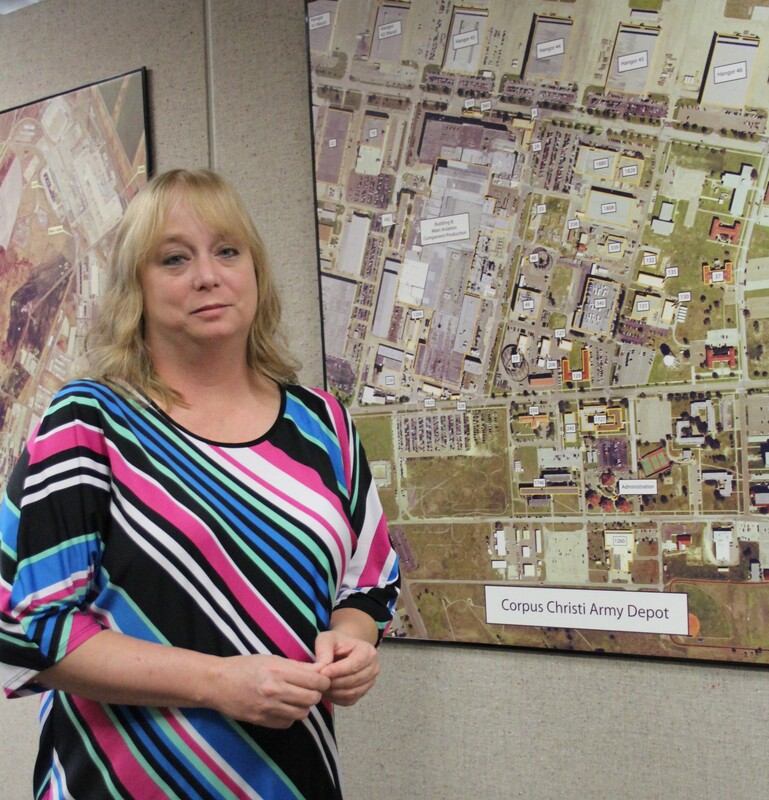 REDSTONE ARSENAL, Ala. -- Leslie Hasenbein has a lot of dirt and grease on her mind. But it's not of the garden variety or the household strain. It doesn't involve making hands germ-free, getting stains out of clothes or making the kitchen spotless. Rather, it has to do with the dirt and grease that invariably lands in all kinds of places on the Army's helicopters. "It's well-known that when helicopters come from the theater that they are covered with dirt, grease and other grime," she said. "During the restoration of the helicopters, the grime needs to be removed to ensure that repairs are successful. Surfaces have to be clean to perform adhesive bonding and ensure paint adhesion." In 2009, Hasenbein, a chemical engineer working for the Aviation and Missile Command's G-4 Environmental Division, was given the challenge of developing a new hand wipe cleaner specification by teaming with the Army Research Laboratory, and the Aviation Engineering Directorate, Aviation and Missile Research Development and Engineering Center. The specification needed to ensure that qualified solvents are compliant with the Aerospace National Emission Standards for Hazardous Air Pollutants, Connecticut and Maryland State Regulations, South Coast Air Quality Management District, and San Joaquin Valley Air Pollution Control District. "It had to be hazardous free," Hasenbein said. "The new solvents had to replace cleaning solvents that were hazardous to the environment, that contained air pollutants and toxic chemicals. The issue is that what we were using, in some cases, didn't meet all the state and federal regulations for non-hazardous chemicals. We had to create a framework for solvents to comply with emissions standards for air pollutants." Hasenbein, whose work has been focused on solvents and paint removers since she joined the AMCOM team in 2004, was selected for this challenge based upon her previous work with the Joint Service Solvent Substitution Working Group. She worked with the team to ensure the specification contained the needed requirements for Army aviation equipment. The specification MIL-DTL-32405MR, titled "Low or Exempt VOC Metallic Substrates for Aviation and Missile Systems Hand Wipe Cleaner," was released in January 2013. Hasenbein and the specification development team were recently recognized for their efforts with a Defense Standardization Program Achievement Award. The award recognizes defense employees and teams whose work achieves significant improvements in interoperability, cost reduction, reliability and readiness through standardization. Several years ago, the Army Research Laboratory set out to develop a specification for an aviation cleaning solvent that complied with the Aerospace NESHAP and other state regulations and that could be used across the Department of Defense by the aviation community when maintaining, repairing and resetting aviation equipment. AMCOM G-4 was selected by the Army Research Laboratory to help provide specific aviation and missile requirements for a non-hazardous hand wipe solvent that would meet regulatory requirements. "The problem was different states have different regulations for meeting emissions standards. By developing requirements for solvents that met the regulatory requirements of different states, we knew our solvent could be used in Texas, California, Connecticut or any other state, and it would meet both state and federal requirements," Hasenbein said. "So it saves time to have a specification with several types of cleaners that can meet the requirements in different states." Though the solution was easy in concept, applying it in reality was more difficult. "Hand-wipe solvents have to be strong enough to remove grease, dirt, grime and oil products so that paints and coatings can bond to the aircraft exterior as required by the Aviation and Missile Research Development and Engineering Center's Aviation Engineering Directorate," Hasenbein said. "Many solvents have been available and in use for years. But we wanted solvents to qualify to a specification. The specification could then be called out in technical manual and maintenance documents instead of individual solvents." 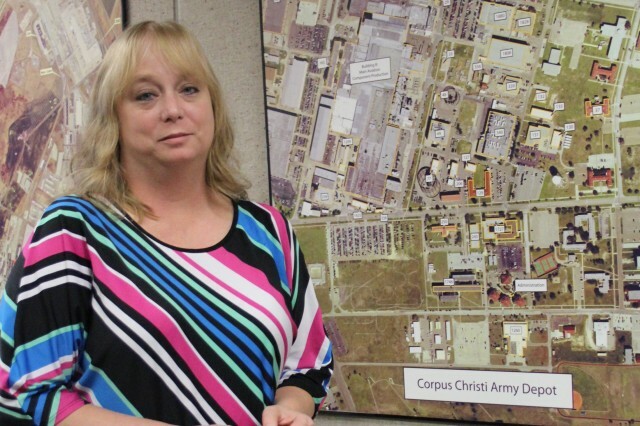 Hasenbein has tested some solvents that would meet the government specifications at the Corpus Christi Army Depot, Texas. In the tests, they had to balance effectiveness with non-hazardous qualities. "During the tests, the baseline is usually a more aggressive solvent, but we have found alternatives that cleaned almost as well," she said. However, no solvents have made it onto the qualified products list of MIL-DTL-32405MR yet. "It's really fun and interesting work," Hasenbein said of the Joint Service Solvent Substitution Working Group. "I like working on projects where we are testing something new and then doing demonstrations to see what works best." Hasenbein graduated with a chemical engineering degree from the University of Alabama in Huntsville after transferring there from Wallace State in Hanceville. "My high school chemistry teacher (in Cullman) encouraged me to look into chemical engineering as a career," she said. "I thought about being a nurse. But my older sister was studying electrical engineering at Auburn and I thought engineering would be a good choice for me, too. It was both hard and challenging, and I liked that." During the first three years of her career at AMCOM, Hasenbein focused on research. Now, she is combining research with testing, demonstrations and applications. "I hope the work I did on this project will help keep the environment clean. By doing these tests, we have helped to find non-hazardous cleaning solvents that the users know meet non-hazardous requirements and that will work to get the job done," she said. But the work doesn't end with the hand-wipe solvent. Hasenbein is now working to set standards and identify non-hazardous paint strippers. "We need to find alternatives that meet changing environmental requirements," she said. "We want to use chemicals that don't hurt the environment or people, but that are still effective."